If you’ve invested in a piece of large machinery, you’ll want to protect it, and its station, from the wear and tear of its vibration and motion. 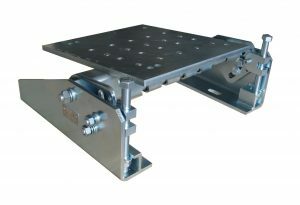 This can be achieved through one of th e many different kinds of motor mounts that exist. From mounts that secure the motor to its machinery to separate mounts that make sure the machine’s belts stay properly tensioned, motor mounts improve the longevity of your machinery and reduce the amount of maintenance that’s required. Statewide offers a wide variety of motor mounts to make sure that your large machinery is adequately protected against wear and tear. By replacing your motor mounts when they start to wear, your machinery won’t experience the excess damage caused by higher than normal vibrations, and you’ll avoid downtime and slowdowns along your entire line. For machinery that uses a belt transmission, there is excess strain on the belt when the motor starts up. When the motor shifts due to its own vibration and movement of internal and external components, tension on the belt varies. Over time, this can cause wear and tear on both the belt itself, necessitating early repair, and on both the motor and the machinery, as the transmissions receive irregular torques. The VIB motor mount series keeps the tension on belts constant, reducing the need for repair and maintenance over time. No matter what type of motor you have, we have a VIB mount that will keep it working at peak efficiency for many years to come. If you’re not sure what motor mount you need for your equipment, call us at Statewide Bearings. After more than 40 years in the industry, we are experts at helping you determine what will do the best job of supporting your large machinery, making sure that you meet your deadlines, and don’t waste money on preventable damage.